Hammered and textured copper with silver pebbles. 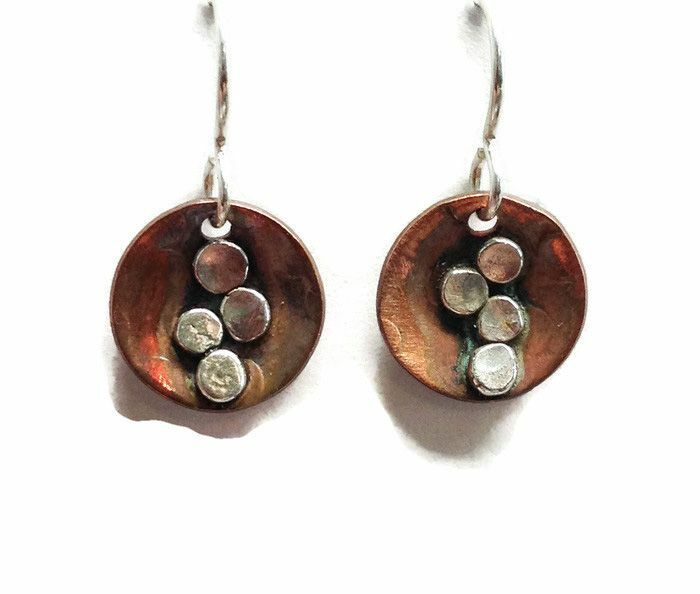 These earrings are 1/2" diameter and are also available as post earrings. Earwires and posts are sterling silver.